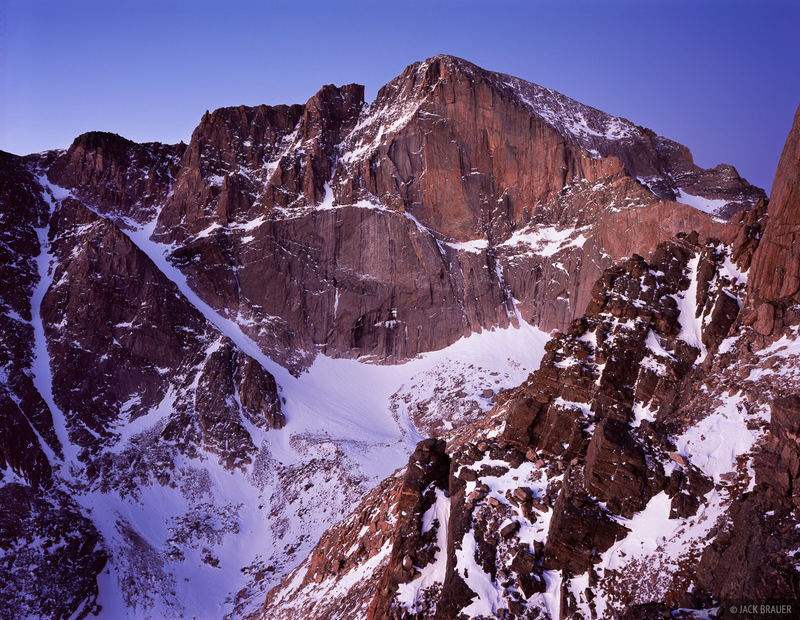 dawn light on The Diamond of Longs Peak, 14261 feet, as seen from Mt. Lady Washington - December. Photo © copyright by Jack Brauer.